Itâ€™s an honour contributing in this wildly read tabloid in my own capacity as Clive â€˜Monoâ€ Mukundu. As a session musician, producer and teacher, I have seen it all in this game. And being one of the torch-bearers, I would like to share my vision with fans, musicians and would be artistes. I was born on a Tuesday, 15 September 1970 in Rusape, Manicaland in a family eight â€“ six girls and two boys being. I am the second born in this family. I was raised in Harare ghettos (Mufakose, Kambuzuma and Kuwadzana) since my parents were yet to own a place of their own. I did part of my primary education at St Columbus Junior, Rusape and then did Grade 2-5 at Kurai Primary School in Kambuzuma. I did part of my Grade 6 at Mutare Junior School and Victoria Junior School in Masvingo. I returned to Kurai Primary School in Kambuzuma for my Grade 7. For my secondary education, I attended three schools â€“ Kambuzuma High 1, Mukombami Secondary School in Murewa and Mufakose High 3. My passion for music started at a tender age while in primary school. I would play home-made guitars known as banjos with friends. In 1988, I was taught to play the standard guitar by one Last Saidi when I was 17, the same year I formed band called Sarungano Chanters. It was a five-piece band made up of Noah Muringai who played lead and rhythm guitars, Edson December (bass guitarist), Chandafira Nyerezani (drummer) and Stuart Kufa on vocals. I played the lead and rhythm guitar as well as composing songs. Then, we used to play chimurenga and reggae. Unlike most bands then, we played our own compositions. It was during the same period that we attended auditions at Gramma Records but we did not make the grade. We used to walk all the way from Kuwadzana to Southerton for auditions which subsequently led to the split of the band. In 1989, I joined Chax Brother which had the likes of the late Admire Kasenga, Jackson Phiri where we used to play sungura, chimurenga and reggae. We also attended auditions at Gramma Records as a clique but failed to make the grade, again leading to the split of the band. 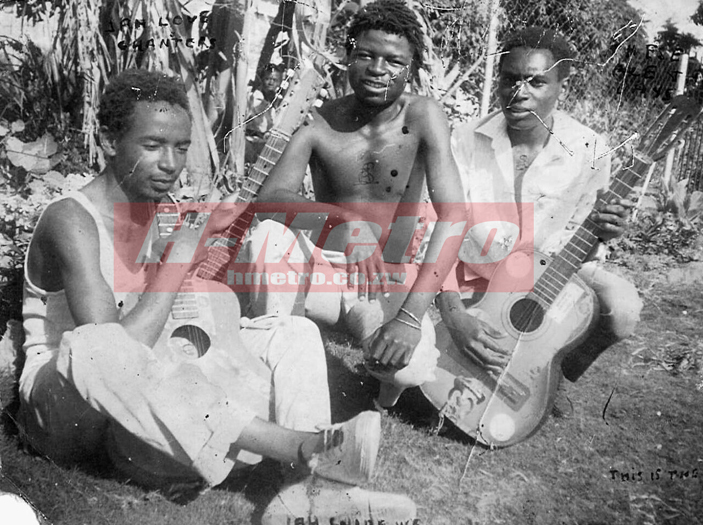 In 1990, we formed another band called Chikokoko and relocated to Mutare. With this group, we managed to record an album called Ruvengo, which was a hit between 1992-3. Due to in-house squabbles, the group disbanded. On Tuesday 28 June 1994, I converted to Christianity through Evangelist Admire Kasingakore (Kasi) where I met and worked with Ivy Kombo and Carol Mujokoro. We recorded one album together titled Ndinokudai Jesu. In the year 1995, I left the group when I was employed by another church called Faith in God Church where I worked for four years. In May 1999, I left Faith in God Church and joined Revival Ministries where I worked for one year as a church musician before becoming a full time session musician. Between 2001 and 2002, I studied towards a National Certificate in Music at Zimbabwe College of Music. I was awarded best guitar student in our stream. In our stream we had the likes of Norman Tapambwa, Duduzile Manhenga and Uncle Ritchie among others. In February 2003, former Black Spirits manager â€“ Debbie Metcalfe â€“ called me seeking my service for an international tour when Philani Dube fell sick ahead of the tour, subsequently joining the band. I worked for Tuku for four years, from 2003 to 2007. It was the best environment I have worked under; in short it was like playing for a properly managed national team. We got the exposure that we needed around the world. Following the introduction of new management, we were sacrificed as the new management wanted to try concepts. There were no written contracts and we had to move on after being shown the exit by Samson Mataure. The seven of us comprising keyboardist Jairos Hambahamba, Selmor Mtukudzi (backing vocalist), Bobby Mutyasira (drummer), Kenny Neshamba (Percussion and backing vocals), Philani Dube (lead guitarist) along with the manager Debbie, left. 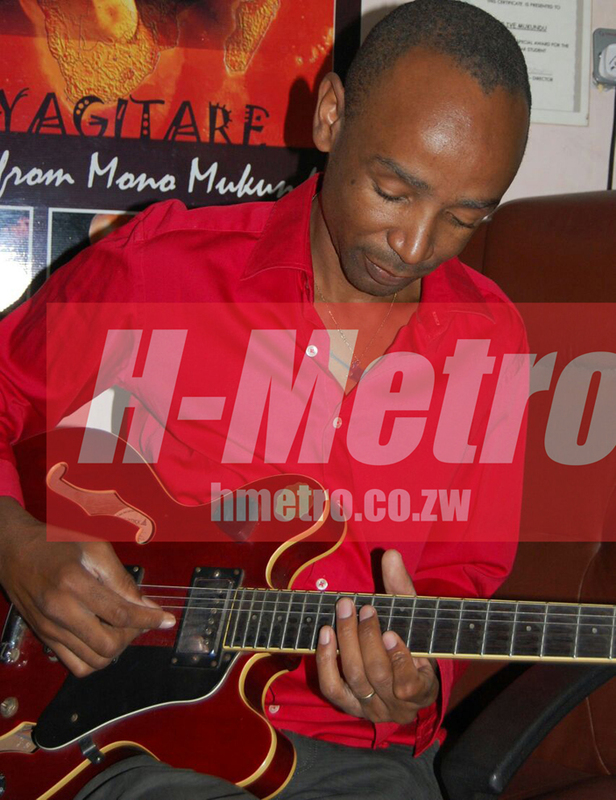 Backing vocalist Picky Kasamba was the only one who survived the axe even though he later left on his own. We were caught by surprise when the move was taken but we had to move on. 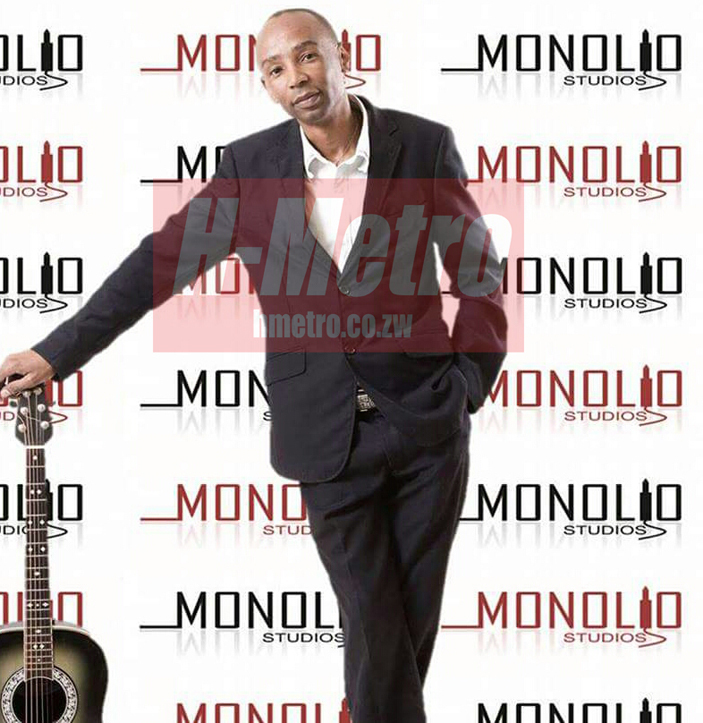 When I left Tuku, I started running my studio on full time basis even though I remained a session musician. It was not easy for me starting my studio since I used to buy my equipment during the international tours I had with Tuku. At one point, I had international tours with Chiwoniso Maraire between 2007 and 2008. We toured Germany Austria, Switzerland and Holland along with Chiwoniso Maraire. This cancer is still there and I usually experience this in the studio when I deal with those who claim to know it all. As a producer, you ought to stamp your authority and I even have clauses in my contracts where I have the final say to safeguard my name. I donâ€™t even give in to oneâ€™s demands despite their status or profiles. I should acknowledge that the majority of them are talented and creative. Since most of them are still young, we do expect them to bring new ideas. I do have respect for the old guard like Bothwell Nyamondera, Peter Muparutsa and Jabulani Ndlovu who managed to set the pace. Dealing with gospel artistes and churches is not that easy when it comes to payment since most of these guys and institutions donâ€™t respect musicians. Some of these musicians or band leaders usually misquote scriptures to under pay musicians. They usually hide under the notion of working for God (ministry) when in actually fact they are the ones fleecing band members. I was facing more challenges to get my payment from gospel artistes and churches as compared to secular musicians. At the studio, I donâ€™t have any problems as artistesâ€™ book and pay for studio time. As a session musician, I think I have featured in more than 1000 albums ranging from gospel, sungura, local and regional artistes. Across the Limpopo, I have worked with the likes of Mango Groove, Lufuno Dagada, Albertina. In Zambia, I have worked with the likes of Mau Mwale, Chris Aka and Cactus. On home soil, I have worked with the likes of Fungisai, Celebrations Choir, Mahendere Brothers, Tuku, Suluman Chimbetu, Somandla Ndebele, Alexio Kawara, Kudzai Sevenzo among others. I have a number of orphanages that I help with groceries and clothes. I never had problems with women in the studio since the majority of female artistes are far too young. However, there are ladies who try to seduce us during live shows but I am safe since I am not holding regular shows. I am married to Jean Kandeya Mukundu since 1994. I am blessed with kids, Tariro (daughter) who is turning 22 and Takakunda turning 18. Taka is also a musician. Like any other producer, I do acknowledge my mentor Isaac Chirwa who taught me a lot about professionalism and even music theory. I also want to thank my wife, Empress Jean and kids for all the support.